Anyway, I’m getting excited for the season. Working from home should help me see a little bit more Cubs day baseball. I’m ready to catch the fever. Fantastically. I don’t think I’ve done a good referential title for a trade post in a while. I guess I caught that bug, too. Anyway, these are all courtesy of Fantastic Catch. He wanted some of my Cardinals minis and I got some good stuff in return. I don’t always take random Cubs, but those minis were burning a whole in my boxes and I try to be amenable whenever possible. Still, if there’s anything here that you need, these are all available for trade again. I actually have an extra one of these for trade now too. 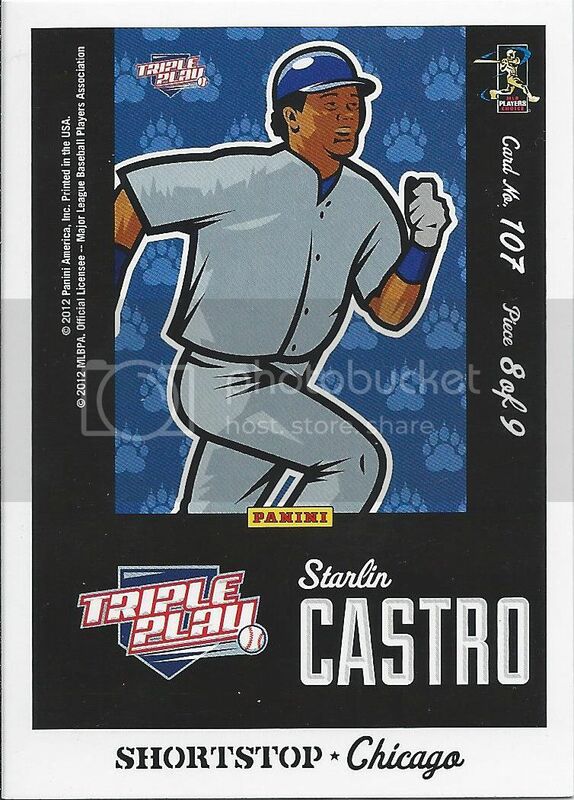 This Castro chrome rookie came first, then another blogger sent one later on, probably before I updated my want lists. 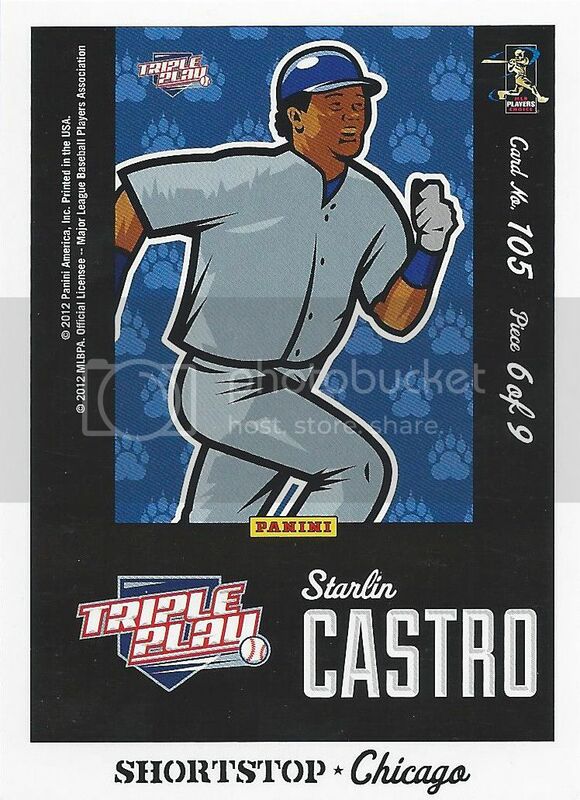 Still, if you have to have doubles of a rookie, Castro isn’t a bad one to be stuck with. 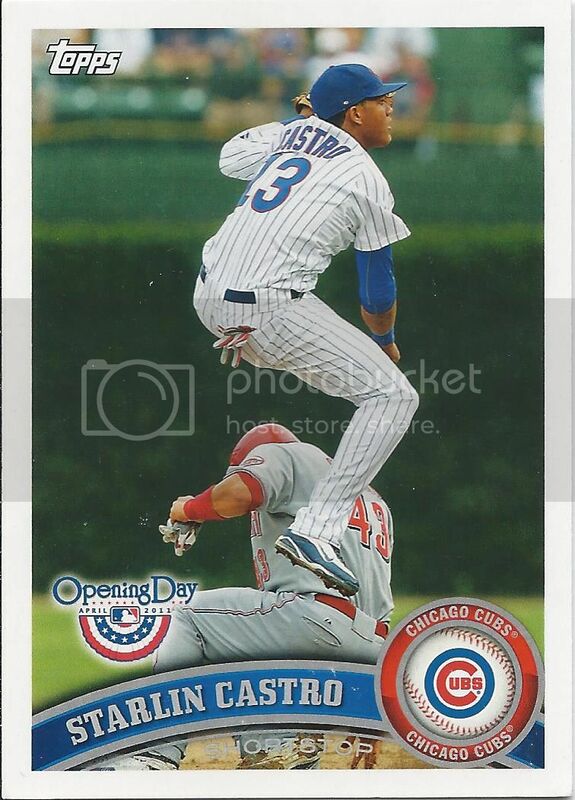 Topps loves photographing Starlin mid-double play. I’m not complaining. This kind of action is better than a plain old boring ball toss. Hey, opening day is coming soon! Just a couple more weeks! Can I finish this puzzle before 2013 Triple Play comes out? Not a chance. Unless there’s some awesome, generous reader that can get me the last few before March 25th. I believe this is 4 of 9 puzzle pieces that I’ve shown on the blog now. If I remember, the next post featuring a puzzle piece will also show you my progress so far. 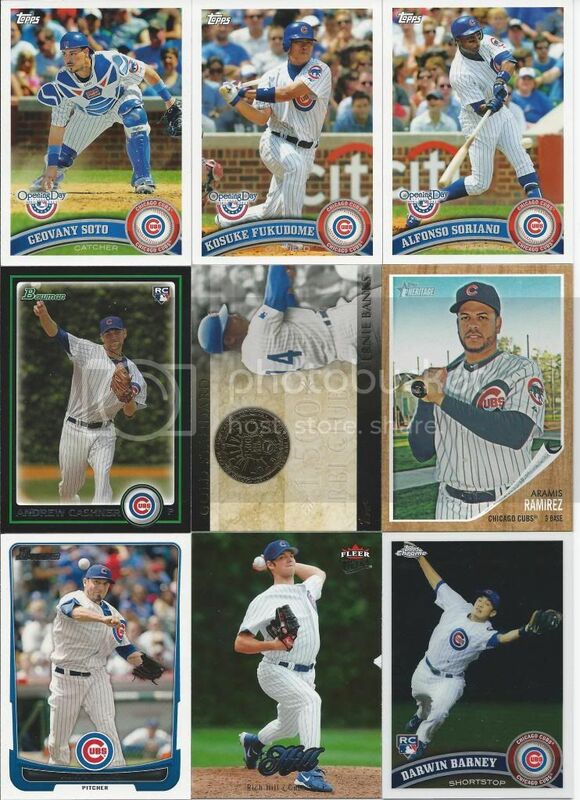 2010 Upper Deck is hiding a lot of depth. Inside all those unopened boxes and packs are several large insert sets that most of us don’t even know exist. Until this came in the mail, I never would have known this was part of that set. It may be worth grabbing a box down the line to add to a group break, because I can virtually guarantee that most of you guys don’t have a lot of the stuff. I saved the best for last. We essentially swapped relics. 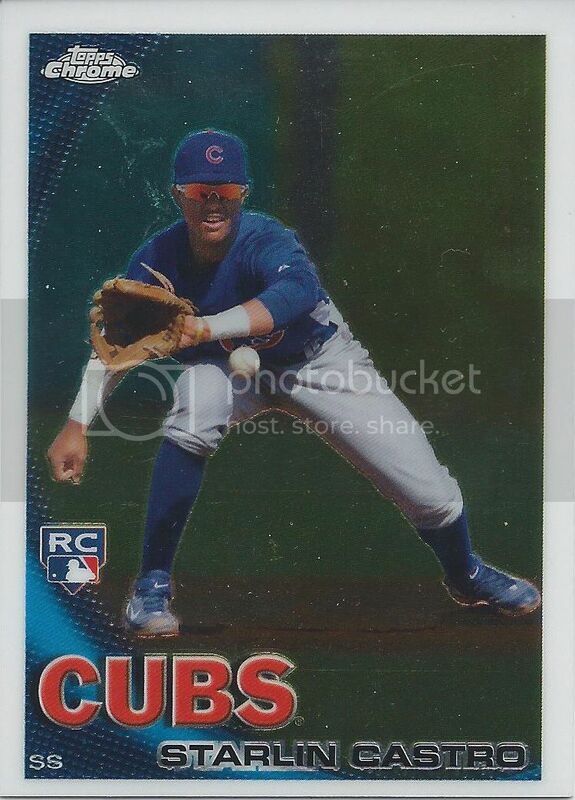 I had the mini Furcal relic and he had this Series 2 Marmol relic. We had to do a little investigative work to make sure, because the S1 and S2 relics have the same card number, but different pictures. This one matches the sparkle version that’s only found in S2. What’s even better is that Carlos actually led this category. 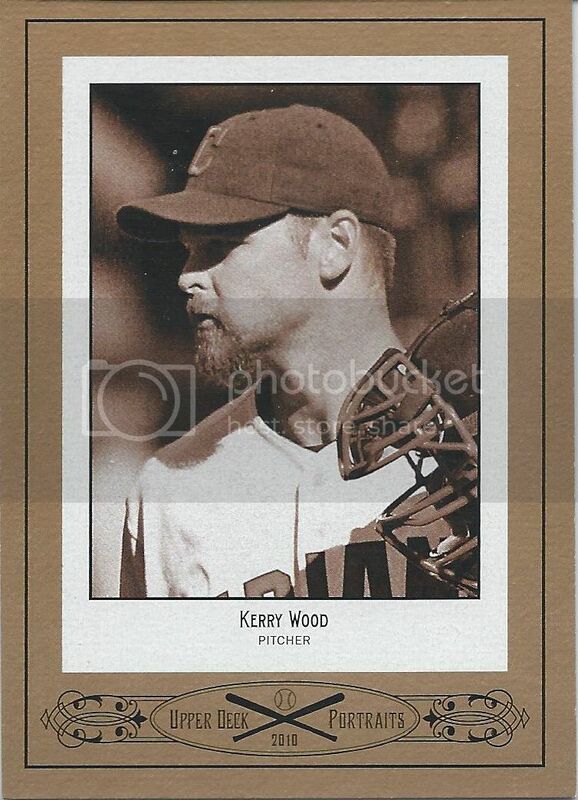 With 70 games finished, he beat out Matt Capps by 4 in the 2010 season. We have a winner! 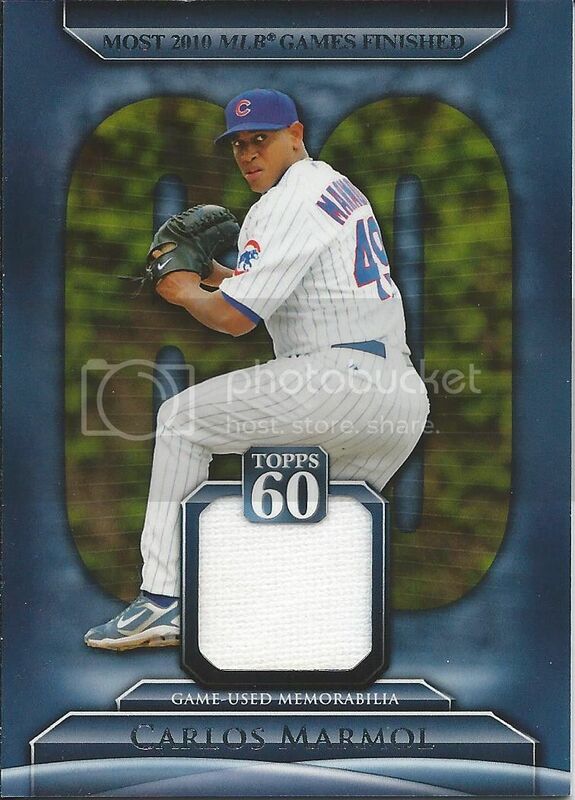 And we have my 11th Carlos Marmol jersey relic. Well, I have definitely caught trading fever. Now that my Jordan countdown is finished, see my previous posts, I can start buckling down on the slew of trades and random packages that have found their way to my door lately. Thanks a lot to Fantastic Catch for the fantastic trade! You are welcome. Thanks so much as well.